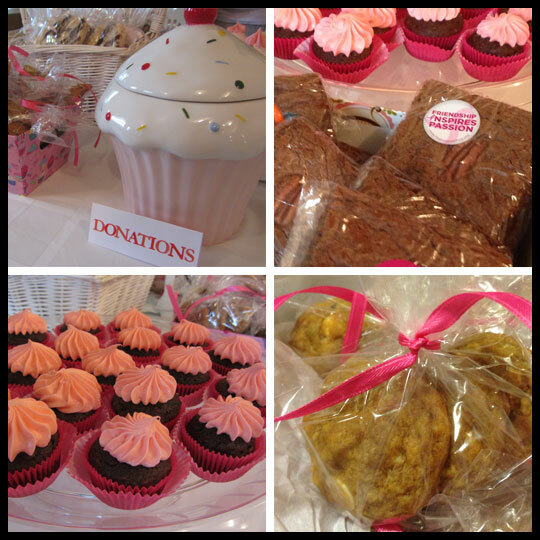 Passionately Pink Bake Sale Success! For Breast Cancer Awareness month, the Cupcake Crusaders wanted to do something to help the cause. You may have noticed that we decided to “Go Pink” on our Facebook and Twitter pages, but that’s not all we wanted to do. 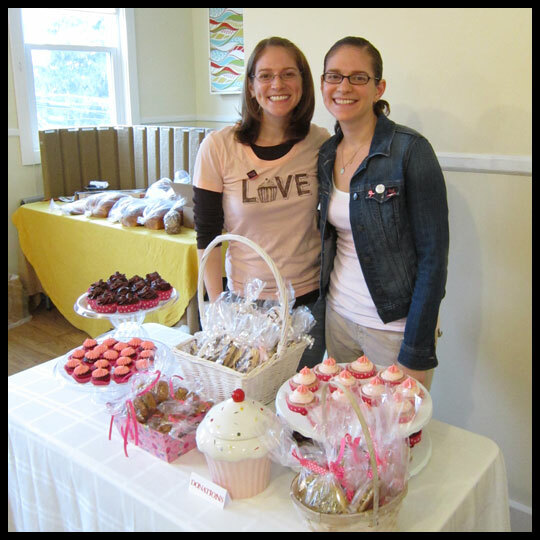 On October 28th, we held a bake sale at Horizon Church in Reisterstown, MD, to raise money for Susan G. Komen’s Passionately Pink, which encourages fun ways to get the community involved. After our last bake sale to raise money for No Kid Hungry, there was a lot of excitement to have the Crusaders back, which made us feel really good. 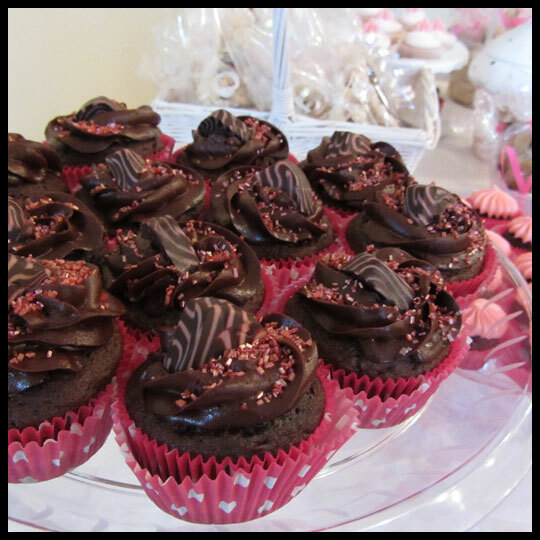 There was a nice variety of treats, including cupcakes, cookies, brownies, and Rice Krispie treats. Jackie from La Casa de Sweets was kind enough to donate 2 dozen chewy chocolate chip cookies, and they were some of the best cookies I’ve ever had! Our mom also made 4 dozen brownies! Crusader Stacy made her (now famous) Chocolate Raspberry cupcakes, and dressed them up with pink wrappers and sugar crystals for the occasion. I tested out a new recipe, Sprinkle’s Strawberry cupcakes with strawberry buttercream, which we’ll be posting a full review of soon. 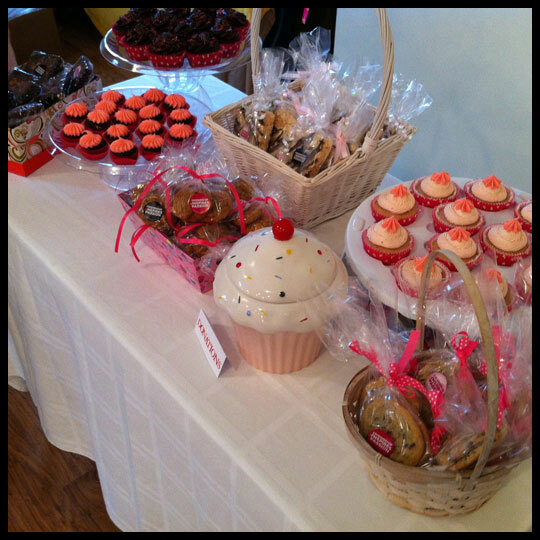 The bake sale was a huge success and we nearly sold out of everything. We raised much more then we anticipated: $132 in sales and $65 in donations, for a total of $197.00! We would like to give a big thanks to our Horizon friends and family who were so generous in their support. In total, we raised $254 dollars thanks to donations to our Passionately Pink page! If you’d like to help out, it’s still not too late to donate. 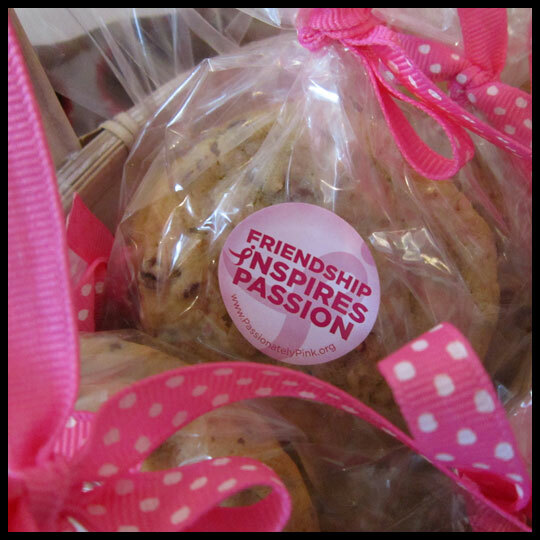 Check out our Passionately Pink fundraising page…every little bit helps. 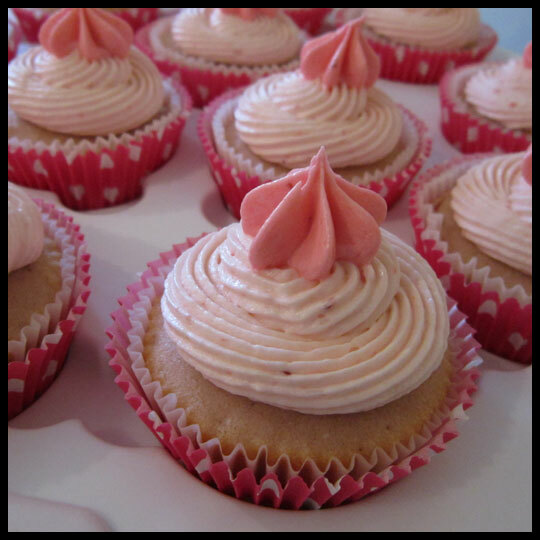 This entry was posted in Baking, Breast Cancer Awareness, Cupcakes and tagged bake sale, Breast Cancer Awareness, brownies, Chocolate, cookies, cupcakes, fundraiser, Go Pink, pink, raspberry, strawberry, Susan G. Komen by Crusader Jenn. Bookmark the permalink. Congratulations on raising so much for such a great cause. I lost my grandma to breast cancer so any one who raises money to help the cause is fabulous in my eyes.